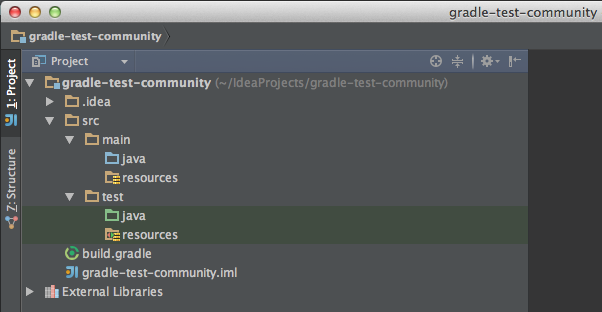 I want to start a empty project with Gradle in Intellij IDEA but it seems not so convenient as Eclipse does. What I did is File->New Project->Gradle. And a project shows up but it's not completed (it has no src folder for example). And I add apply plugin 'idea' in the build.gradle. When I refer to the All tasks in IntelliJ IDEA. There are no idea,cleanIdea,ideaProject for me to set up a IntelliJ IDEA. 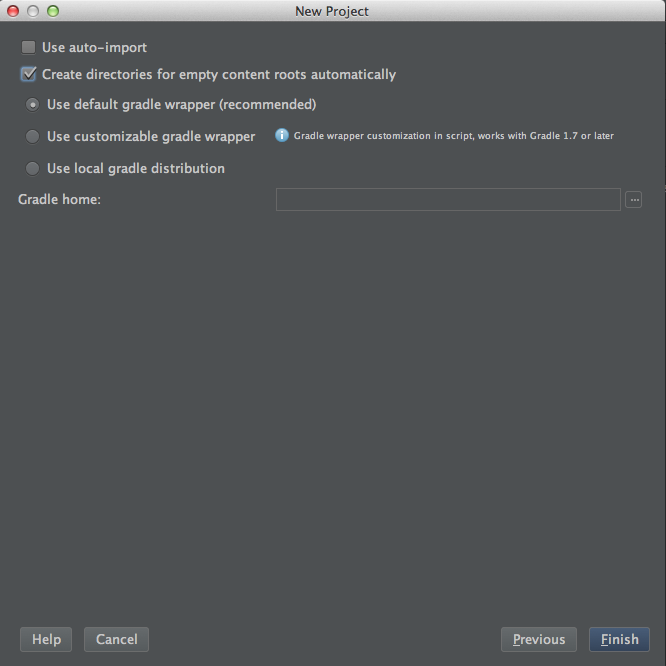 In Eclipse+Gradle plugin, just create a new gradle project and everything is ready. I want to know how to do that in Intellij IDEA. When creating new Gradle project, select "Create directories for empty content roots automatically". New project will have those directories. In latest IntelliJ IDEA Community Edition(2018.1), there's no Create directories for empty content roots automatically option available in New Project dialog. But we can go to Preferences...->Build, Execution, Deployment->Gradle and check the underlined option in the screenshot below. Not the answer you're looking for? Browse other questions tagged java intellij-idea gradle or ask your own question. 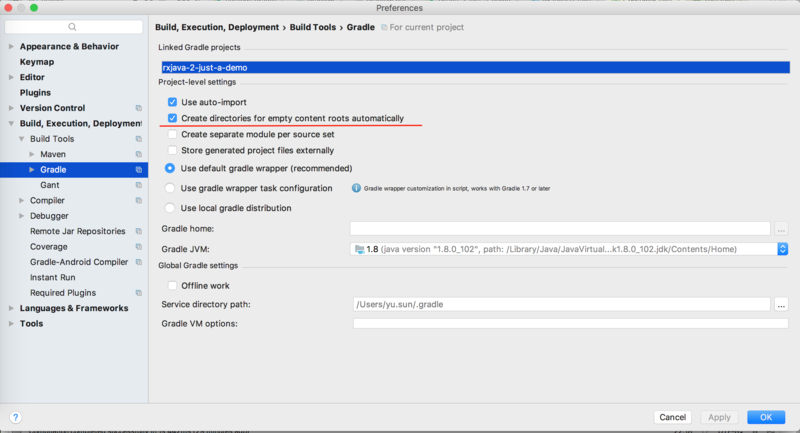 How to create gradle-based MODULE in IntelliJ?